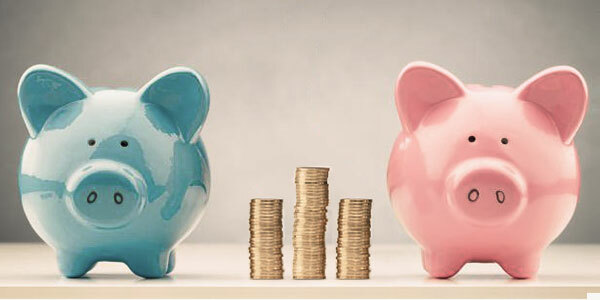 How can you avoid financial crisis after a divorce? Read the article to know the useful strategies. For most of us, divorce is a sad fact of life. Usually, a divorce can lead to financial crisis too. If your spouse has debts, then the situation can be more strenuous. Are you wondering whether or not you're required to pay for your spouse’s debt after divorce that he/she has incurred before marriage? Usually, the individual will be completely responsible for the debts during the time of legal separation that he/she has incurred before marriage, for instance, a student loan debt. But, there are many exceptions to the rule. You should give it a second thought. Be sure whether or not you're on the right path. Remember, divorce is the ultimate end of a relationship. If you're facing problems, then try some other options to resolve the problem. You can knock the door of a marriage counselor, you can go for a trial separation, and so on. Moreover, a divorce results in a big amount of financial expenses. If you're facing a financial problem, and your split is mutual, then you can stay together till the financial condition is better. Since a divorce can affect your credit score, so, both of you should establish your own individual credit accounts before any defaults. If you have a good relation with your spouse, then talk about splitting your credit card debts. Categorize debts under your and your spouse’s accounts too. You must close down the joint accounts that both of you have. Usually, such debts of one spouse can fall on another one after divorce. Thus, you may face a financial crisis after the divorce. Don't ignore the joint accounts that you have. Try to divide the debts with your spouse. If you fail to do it, then the court will do this. Remember, your creditors will not be bound by the decision of the court. Creditors will come after you if they find your name on the joint account. So, you should close your joint accounts and open new accounts for individual ones. If both of you owe the house jointly, then it can create problems after the divorce and can also lead to financial stress. You may even get a foreclosure notice if your spouse keeps the house and isn’t paying for the mortgage. So, it's advisable to sell the home to either of the divorcing spouses. Thus, there is sole ownership of the house. Pull the credit reports from each credit bureau time to time and review them accordingly. Find out if there are any unfamiliar accounts. Sometimes, ex-spouse uses the Social Security Number for co-signing the accounts without informing. You should hire an attorney who has specialized in divorce cases. Ask the attorney whether you'll be liable to pay off the debts incurred by your spouse before marriage. Tell every detail about your financial liabilities to the attorney. Thus, he’ll be able to provide solutions to your problem. Focus on your personal finances after your divorce. Remember, now onwards you need to manage finances single-handedly. Thus, it's important for you to think about your future and not the past. You should formulate a proper budget to track your expenses and your income. Monthly budgeting helps to understand where the money is going and cut down on the expenses if required. It motivates to save for your future too. The most difficult part of a post-divorce is, you have to adjust to a lower standard of living. As the total income of your house drops, you have less money on your hand. Thus, it's advisable to make lifestyle changes to examine your spending habits again. You must spend less than your income. Otherwise, you may have to suffer greatly as you may not be able to meet any financial goal in the future. To ensure financial security, you must work towards eliminating debts. Try and avoid incurring further debt. If you have a good amount of money in your savings account, then pay off the debt as soon as possible. What if your spouse has a student loan debt? It is seen that the spouse might have taken out a student loan for completing higher education and failed to pay back and incurred debt as the individual. But after marriage, he/she might have got the degree and have started earning. In that case, if the degree has been beneficial for the couple, then the debt can be divided between them. The court might order to divide the debt equally between the couple. However, there are some more guidelines such as the education has to completed more than 10 years before filing for divorce, and the loan should be incurred during the marriage. Otherwise, this rule will not be applicable at the time of your divorce. Divorce can lead to a lot of financial crisis along with emotional stress. It's very challenging to manage finances after a divorce. These problems are known to affect women much more than they affect men. Sometimes, it may lead to debt problems too. If you’re a divorced woman, then you already know the massive changes that come about in your financial life after a divorce. Your standard of living may fall and you may incur more and more debt with every passing day. But with determination and strategic thinking you can always ease your situation. Good luck!